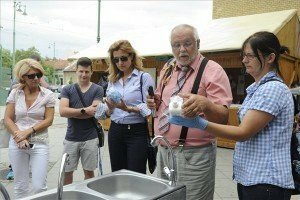 Lendava, Slovenia (MTI) – History has given us a hard blow again, with masses of people crossing our borders without control and Europe facing the beginning of a mass migration that seems to have no end, the Hungarian prime minister said in Lendava (Lendva), a border town in north-eastern Slovenia, on Friday evening. 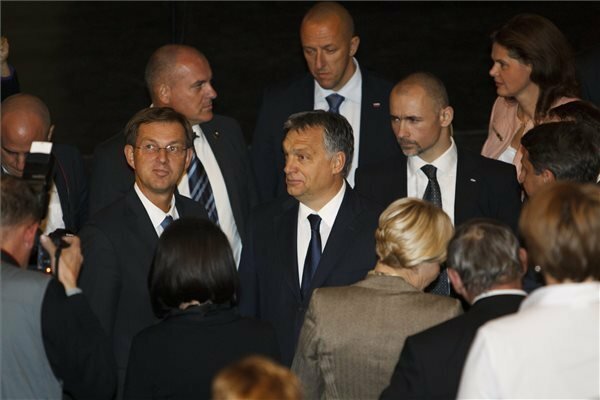 Viktor Orban attended a gala event to mark the 40th anniversary of the ethnic Hungarian interest association of the Mura region, together with Miro Cerar, his Slovenian counterpart. “Hundreds of thousands of people coming from a different civilisation have so far crossed our borders illegally, and many more millions are already on their way towards Europe,” he said. 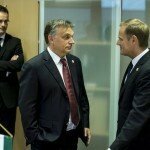 Orban said that some people in Europe would best dismantle nation states, as well as borders, or any other obstacles that may slow down migration. “And there are people who would even provide money to support these efforts,” he said. “Under this scenario, Europe will no longer be based on our principles but on something else, the old continent will cease to be our home. 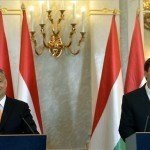 This is a scenario that we do not want and cannot accept,” Orban said. The prime minister stressed the need to make tough decisions in defence of the nation and the generations to come. “We should make decisions in favour of our nation and identity, in favour of Europe and our Christian culture,” he said, adding that each and every member of the European Union bears responsibility not only for itself but for Europe as a whole. Cerar emphasised that Slovenia and Hungary have maintained excellent neighbourly relations, adding that his country has ensured the rights of the Hungarian minority ever since it was established. Slovenia strives to further boost bilateral relations in transport, science, education and tourism, he said.